1950's, 34 bust, 2 piece, jacket and dress. 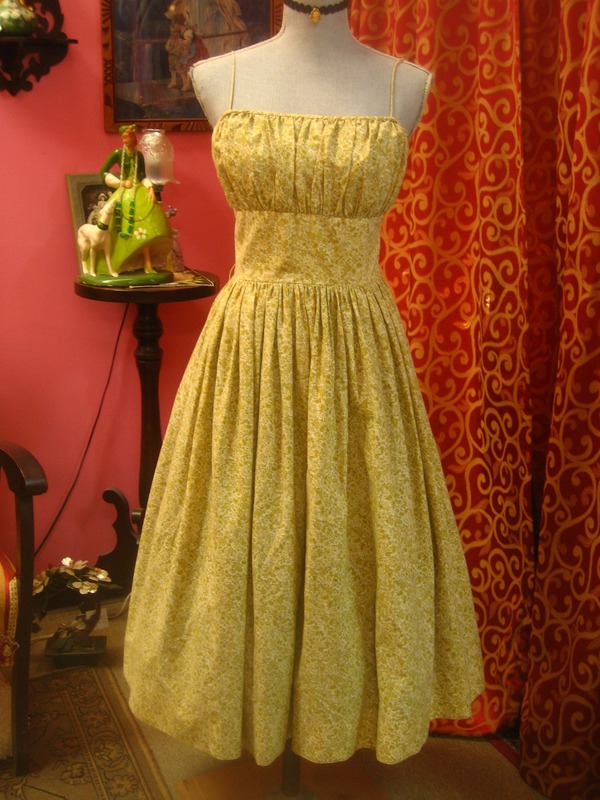 1950's, 34" bust, 2 piece, jacket and dress. 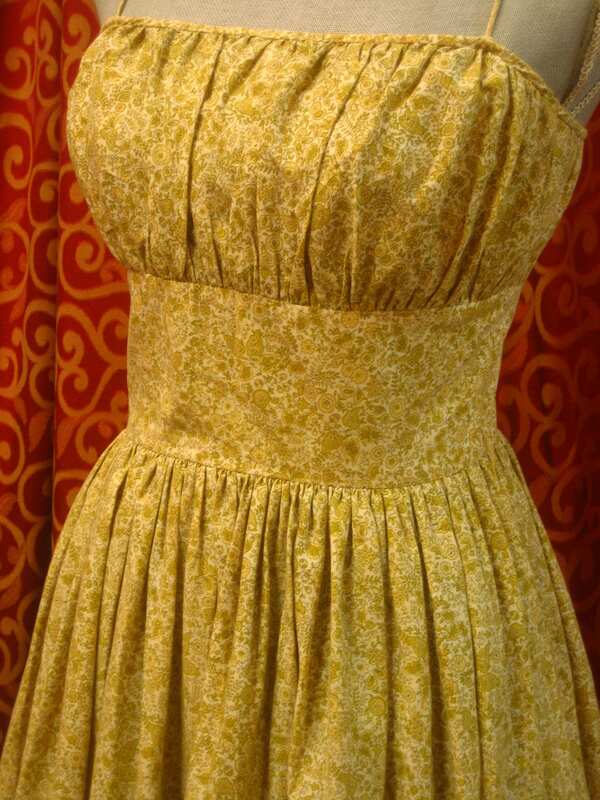 1950's, 34" bust, 2 piece, jacket and dress. 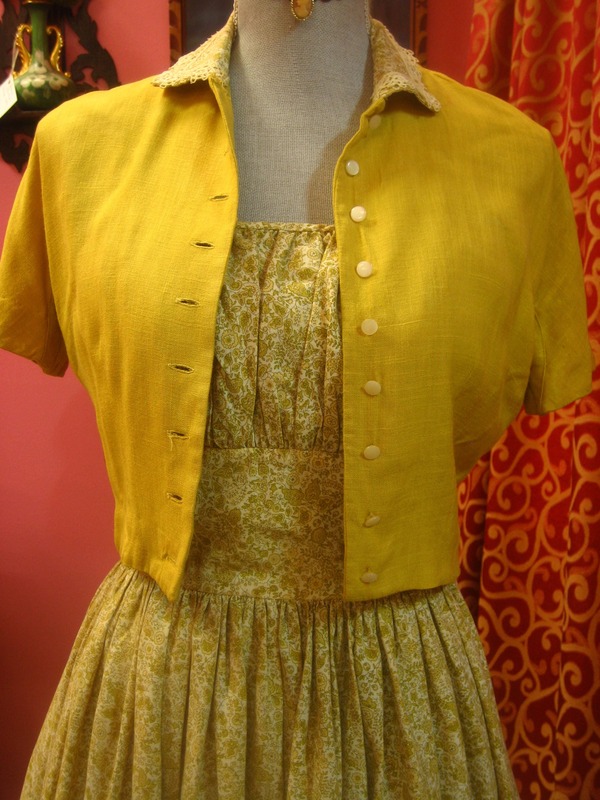 Jacket is mustard color linen, short sleeves, and waist length. 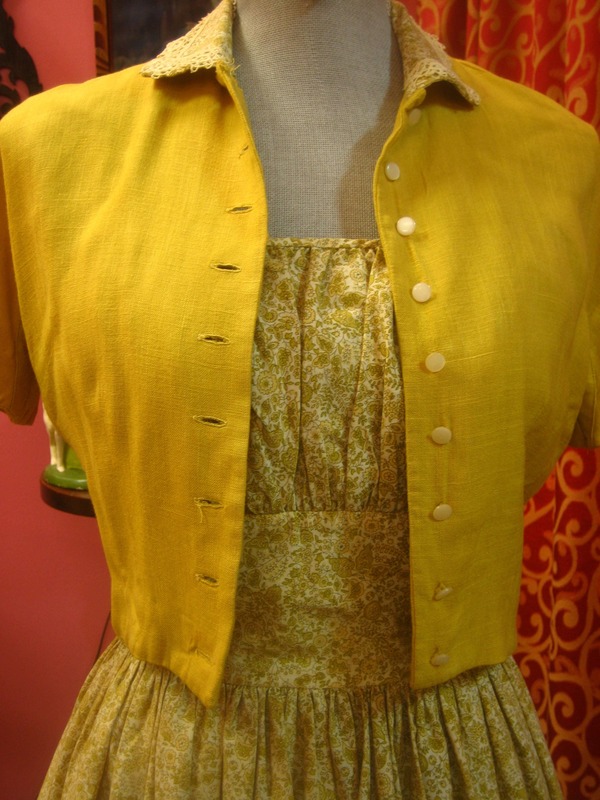 Jacket has short raglan sleeves, and is fastened in front with 9 small round mother of pearl buttons. 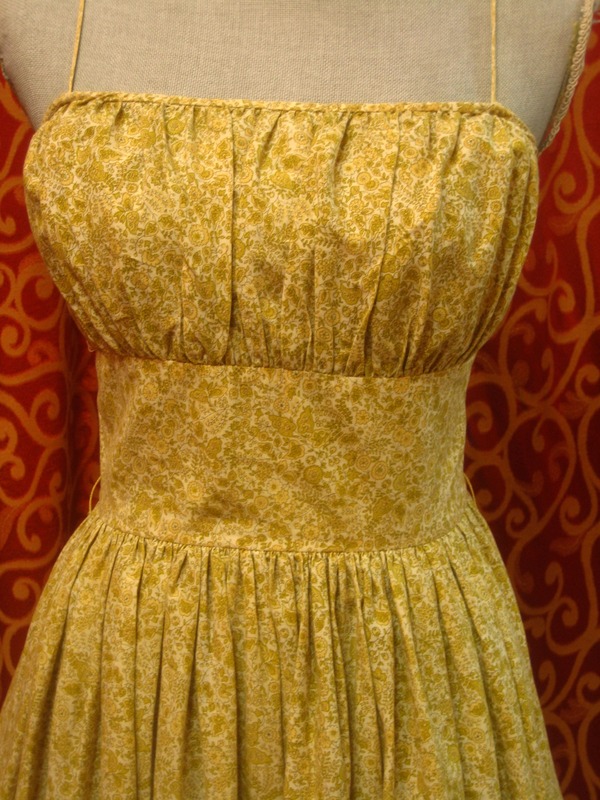 Small round cotton collar, same print as dress. 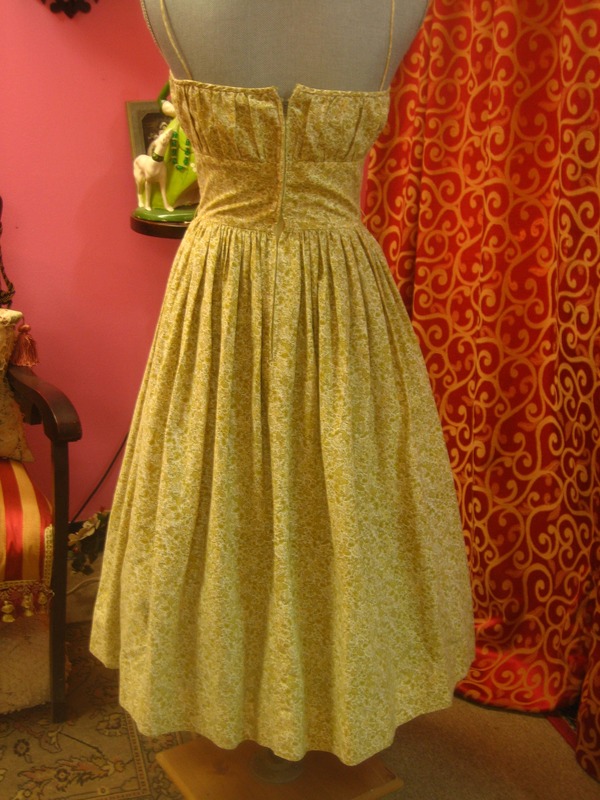 Dress is a tiny Liberty print of mustard yellow flowers, on an ecru colored background. The skirt is gathered at cummerbund like waist. 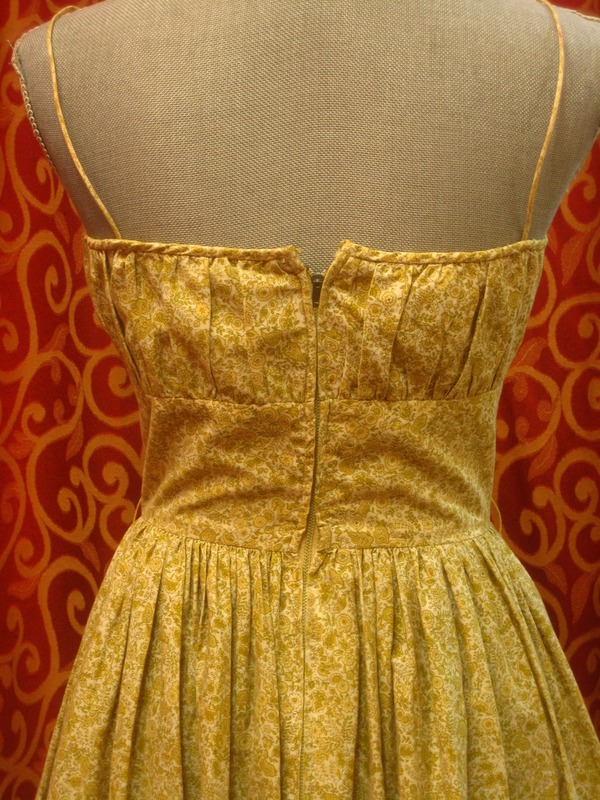 Bodice is pleated and is held up with thin spaghetti shoulder straps. 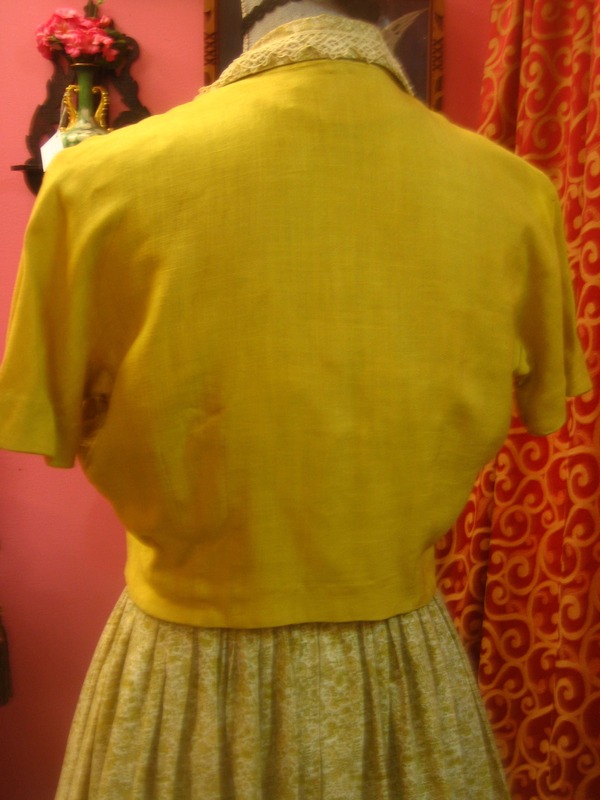 Dress is fastened at back with ling zipper.